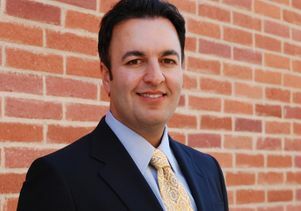 Paul Habibi is principal of Grayslake Advisors, a real estate expert services firm, and a lecturer at the UCLA Anderson School of Management and the UCLA Law School. This op-ed was published Aug. 10 in the Los Angeles Times. Los Angeles is stuck in a housing crisis with little hope for an easy escape. The standard definition of “affordable” is shelter that costs no more than 30 percent of a household’s gross income; anything higher cuts severely into other types of consumption. Using that metric, to afford the median-priced home, the median household would require a staggering 52 percent raise, to $96,000 a year from $63,000. A more modest 14 percent raise would enable that family to rent the median-priced apartment. With housing costs rising faster than incomes, we are likely to retain our title as the least affordable city in the United States for years to come. Why is our housing stock unaffordable? Supply-and-demand imbalances. Although the local economy has made progress since the Great Recession, real wage growth has been tepid. Moreover, we are not a hotbed of high-paying industries. Affordable housing is not just a concern for those living in substandard accommodations. It threatens the economic vitality of the entire state. As shelter becomes more unaffordable, working families depart the city and fewer jobs come to California — a vicious negative feedback loop. According to the California Housing Partnership Corp., Los Angeles County needs almost 500,000 more units that are affordable to households earning less than 50 percent of the area median income. Developers build less than 3 percent of this number annually. 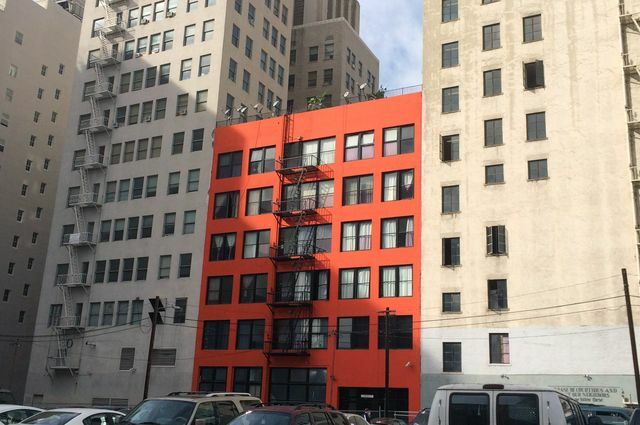 In June, the California Supreme Court ruled that cities can require the inclusion of affordable units in for-sale projects. Although this decision gives local government more tools to create affordable housing, it may well push developers to build elsewhere, if at all. Expand density bonuses. Los Angeles is infamous for its sprawl, a result of low-density zoning codes that separate residential from commercial development. This paradigm, reflective of the victories of homeowner groups after World War II, no longer addresses the challenges facing the city. Rather, it creates congestion, long commutes and “bedroom suburbs” distant from employment centers. The antidote to sprawl is to build higher-density housing near transportation and employment hubs. A state “bonus” law grants additional density beyond the underlying zoning to developers who include affordable housing in their projects. Yet these bonuses have been insufficient. Developers are constrained by the high costs of land and construction so they cannot recover their investment in affordable units even with the offered incentives. Between 2008 and 2013 only 187 market-rate projects employed density bonuses, providing 1,406 residential units affordable to households earning 80 percent of the area median income or less, and just 81 units for those earning between 80 percent and 120 percent. The city should loosen qualifying thresholds and expand the size of the bonuses. Amend site plan review. On the heels of lawsuits filed by neighborhood groups, in 1990 the city enacted an ordinance that mandates a site plan review process for any project that results in an increase of 50 residential units or 50,000 non-residential square feet. Accordingly, the Planning Department must review a proposed development’s compatibility with its surrounding neighborhood and consistency with relevant planning and zoning codes. That may sound reasonable, but neighborhood groups routinely abuse site plan review as a tool to stall or block development. The additional time and uncertainty resulting from this process effectively impose a tax on even the best proposals. Projects that comply with underlying zoning, meet design guidelines and reach local affordability goals should bypass site plan review and enter directly into the building permit process. Use the EIFD. The dissolution of California’s Redevelopment Agencies in 2012 wiped out tax-increment financing, which was the largest form of housing subsidy. Under tax-increment financing, future property tax revenues from a new project could be advanced to the developer to provide gap financing. This was a particularly effective tool for the construction of affordable housing projects, which otherwise would not meet developers’ required returns. The loss of this tool, combined with cuts to state and federal subsidies, has dramatically reduced the funds available to affordable housing developers. In September, the state authorized the establishment of Enhanced Infrastructure Financing Districts, through which cities can use tax-increment financing for the development of public facilities. Although Los Angeles has not yet formed any such districts, it could treat them as a means to leverage public financing for the construction of affordable housing — without imposing additional taxes on residents or fees on developers. Even if the city acts on these recommendations, the affordability crisis is likely to get worse before it gets better; building housing takes time. That’s all the more reason to stop pretending that the unsupportable status quo will somehow improve on its own, and start making progressive changes to our building and zoning codes. 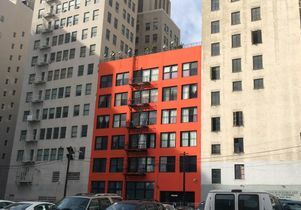 Newer apartment building in downtown Los Angeles. Paul Habibi, lecturer at the UCLA Anderson School of Management and the UCLA Law School.